Woensdag 13 april. 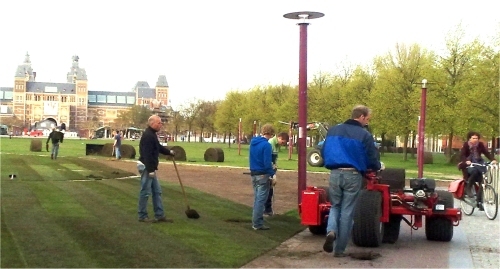 Museumplein krijgt nieuwe grasmat. Hey there would you mind letting me know which web host you’re using? I’ve loaded your blog in 3 different browsers and I must say this blog loads a lot quicker then most. Can you suggest a good web hosting provider at a fair price? Thanks, I appreciate it! That’s a genuinely imrpssevie answer. I believe that one of your ads initiated my web browser to resize, you might well need to set that on your blacklist.